If you look around you, there are likely dozens of plants nearby that you may consider nothing but a nuisance, but look again. 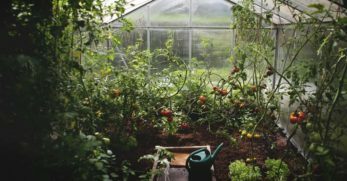 Some of those so-called weeds may actually be a nutritious source of sustenance that costs nothing to use. In fact, some people may even thank you for taking them off their hands. Edible weeds are all around us, pulled up, poisoned and burned because someone failed to see the value in them. Once you know which to look for and what you can do with these complimentary consumables, you'll be able to source food and medicine at a price you can't beat. 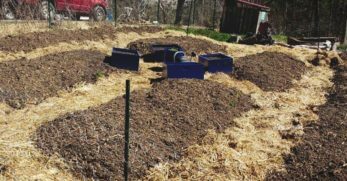 You may even be helping the planet and your garden in the process. We'll show you which weeds are valuable resources in disguise and how to identify them below. First, what makes a plant a weed? 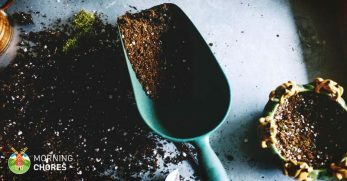 While the behavior of a plant plays a part in how we label it, our perceptions and ideas about plants have the most significant impact on whether we consider them problematic or not. When I held gardening classes at my local senior’s center, I became fast friends with an Indian woman who made the most delicious food. She also taught me a great deal about how we perceive plants. As I plucked weeds from the communal garden space, she pointed out that the plants I removed, in many cases, were good to eat. She would take the pulled remnants and bring them home to cook with. It was an eye-opening moment for me, and now I’m much more curious about the plants I consider annoying and invasive. I firmly believe that the concept of a ‘weed' is a human construct. There are no weeds. We're the ones who impose our perceptions of Mother Nature. 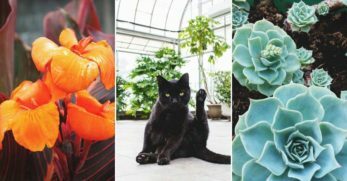 It’s often human behavior that creates problems when we take plants from different continents and allow them to flourish outside of their native habitats. 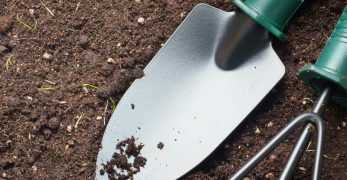 Humans also introduce plants to their gardens or yards without proper research or investigation. 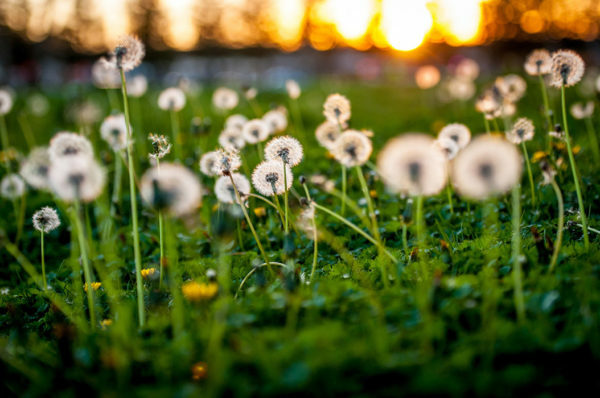 For one person, a dandelion may represent an ugly nuisance: a blemish on an otherwise perfectly manicured lawn. 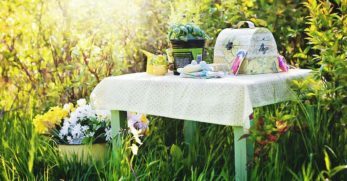 For another, the vigorous yellow flower is a nutritious edible weed that makes the ideal addition to a lunchtime salad or the perfect ingredient for an evening cup of tea. In my yard, the previous owners of the property planted a pretty trailing vine for added privacy on an outdoor fence. They apparently didn’t do their homework, and the vine creeps into my garden each summer. I made the same mistake with purslane. I sowed seeds a few years ago thinking I was planting an easy to grow succulent and didn’t find out until later that purslane is a persistent bugger that’s tough to get rid of. It returns every year with a vengeance and outcompetes whatever else is growing alongside it. In the first year, it was a yummy edible that I picked for salads. Now, it’s a weed because it keeps coming back without me wanting it there. But more importantly, because I planted something without thinking. When you forage the plants below use, be sure you know what you're picking. Some plants have look-alikes that can be unpleasant or downright dangerous. 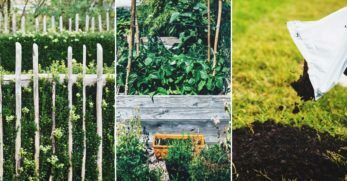 Additionally, keep in mind that if you want to cultivate any of these edible weeds, planting them may be illegal, on top of a potential nuisance. 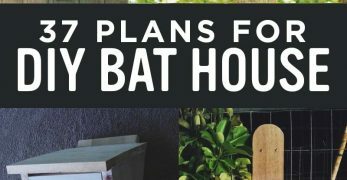 Finally, because these plants are considered pests, pick only from sources that you know haven't been poisoned. You might spot purslane in your favorite seed catalogs, but it can also be a weed. 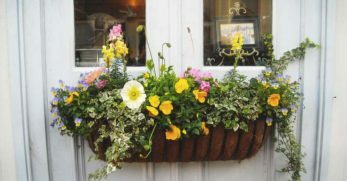 It grows almost anywhere because it can tolerate poor soil conditions. That said, it's delicious. I put purslane seeds in my balcony containers and have been surprised (and annoyed) at how well it has thrived. 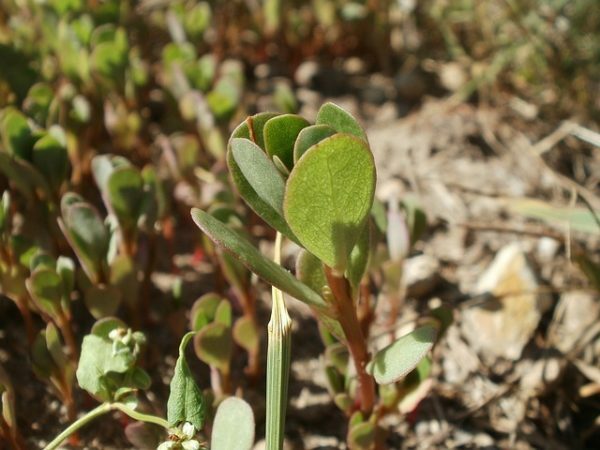 Tastes like: Purslane makes a crunchy addition to your salad, and it has a slightly acidic flavor. How to identify: This edible weed looks like a miniature succulent plant. Eating: Eat the leaves of this plant in a salad. Caution: Don't let your cat or dog munch on it, because it’s poisonous to them. 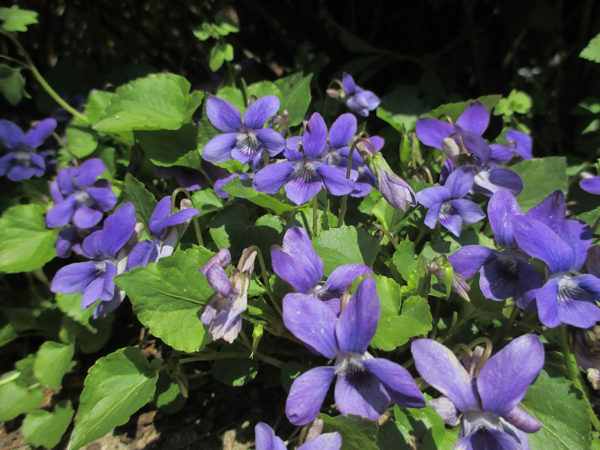 The small purple-blue flowers of this plant attract bees and butterflies. 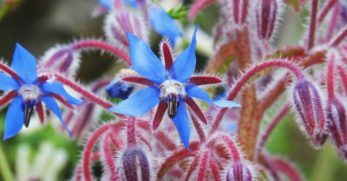 Borage is an annual, but it's self-seeding. It’s quite hardy and easy to grow. Tastes like: Borage tastes like cucumbers, oddly enough, and it's delicious. How to identify: Look for a droopy plant with small star-shaped flowers. Eating: The leaves and flowers of this plant are edible. Use it in soups, salads, cocktails, and desserts. 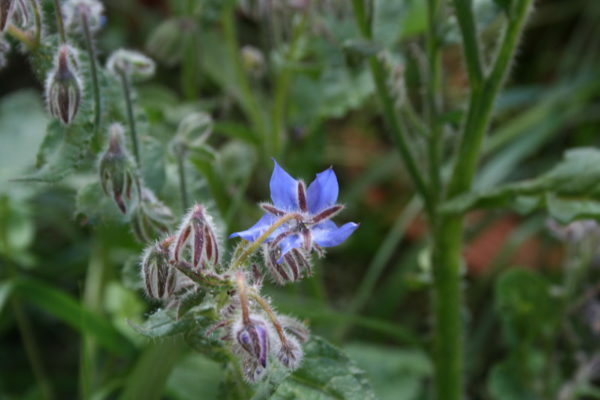 Caution: Don't consume borage seed oil without first speaking to your doctor. 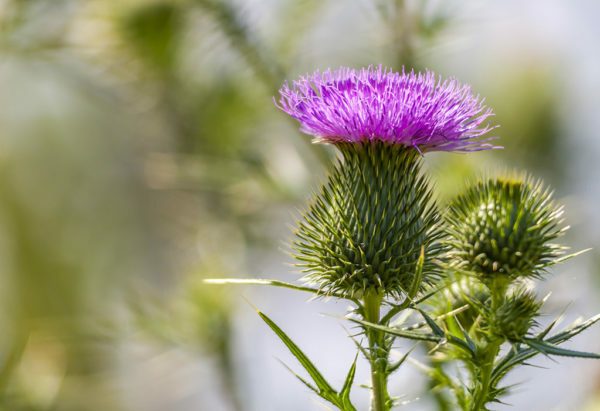 You can use milk thistle in food dishes in place of spinach, though it's known more for its medicinal qualities. Tastes like: This can be a bitter plant, but it has a sweet aftertaste. Cooking helps. How to identify: Milk thistle is pretty distinctive. Keep your eyes out for a spiky plant with purple flowers. Eating: You can eat the young stalks roots and flowers. You can also eat the leaves, but cut off the spines first. Cook it as you would spinach or eat it raw. 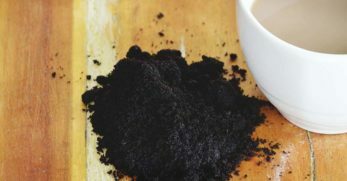 You can also roast the seeds and use them as a coffee alternative. Caution: Only eat this plant after you've removed its spikes. Additionally, it can cause nausea and diarrhea in some people. This funky-looking annual weed has many fitting nicknames, including kisses and sticky weed. Tastes like: For such a strange-looking plant, it sure tastes good. It has a flavor similar to pea shoots. 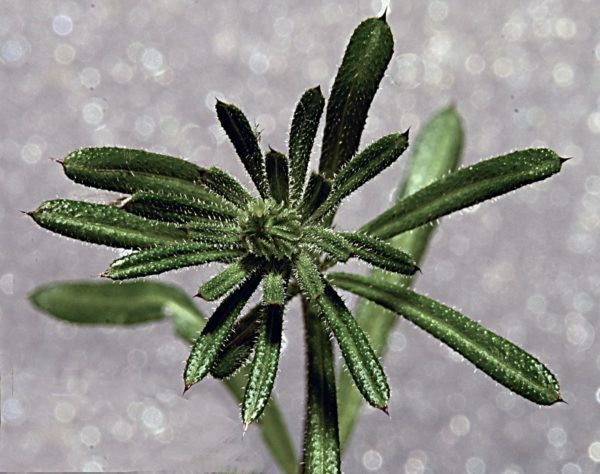 How to identify: Cleavers have branching stems with sticky, grippy hairs and little white flowers. Eating: You can eat the leaves and stems of this plant, but since it's sticky, it doesn't work great in salads. Eat it as a lettuce substitute in a sandwich, instead. Caution: Don't eat this if your skin is irritated after touching it. If this occurs, you may be allergic. Two things I love combined in one plant: garlic and mustard! This edible weed is considered invasive in many parts of North America, so you can do your part to eradicate it by eating it all up. 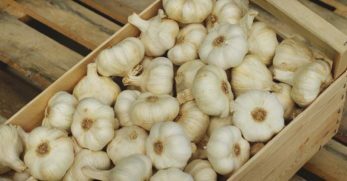 Tastes like: This plant has notes of horseradish and garlic. How to identify: Look for a low-growing cluster of lily pad-like leaves. 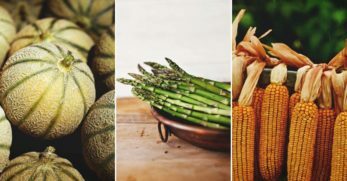 Eating: You can eat every bit of this plant, including leaves, flowers, roots, and seeds. Caution: Avoid eating garlic mustard raw too often because the plant contains cyanide. Cooking it can help reduce the toxin level, however. Probably the most well-known edible weed out there. 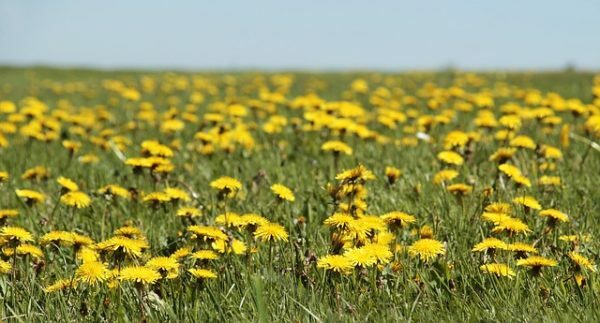 Dandelions grow liberally on lawns and uncultivated land across the country. They spread prolifically, and we attempt to get rid of them with great enthusiasm, which is odd because they’re edible and incredibly nutritious. Tastes like: The flavor depends on the part of the plant you consume. It ranges from earthy to nutty. How to identify: Look for the infamous puffy poofs during the seeding stage that come from the pretty yellow pom-pom flowers. Eating: The roots, leaves, and flowers of this plant are edible and contain medicinal properties. Cook it up like spinach or eat it raw. Caution: Don't eat this ubiquitous edible weed without washing it first, because it may be covered in poison. 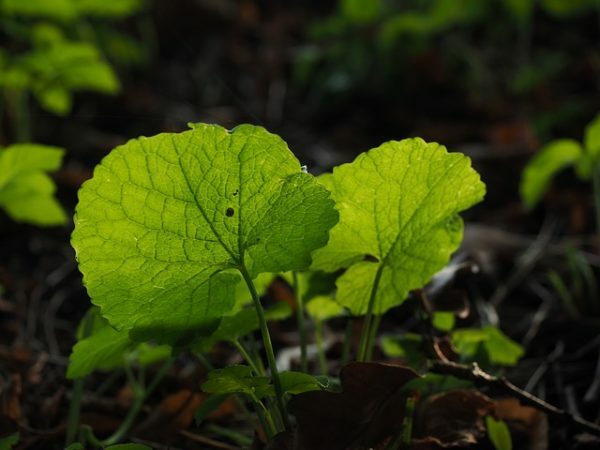 Also known as curly leaf dock, this plant is capable of growing up to 1.5 meters in height and is often found growing along roads. Tastes like: It might not look like it, but this plant tastes like lemon because it contains oxalic acid. How to identify: Look for the distinctive narrow leaves with curly edges. The stems turn brown in the late summer. Eating: Consume this raw when the leaves are young. Once the leaves get older, they should be cooked. Don't eat the leaves after they have turned brown. You can peel and eat the stems and cook the seeds, as well. Caution: Don't consume raw yellow dock regularly. 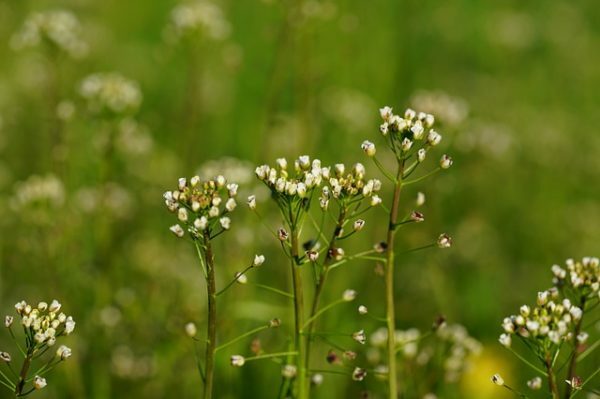 A brassica, shepherd’s purse is a tasty and nutritious edible weed. 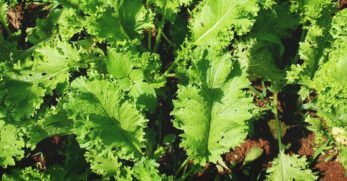 Tastes like: This plant tastes like a mildly flavored radish or mustard greens. How to identify: It's easiest to spot when it's seeding, because it has distinctive purse-shaped pods. It has hairy, lobed leaves. Eating: Eat this edible weed when the leaves are young, either raw or cooked. Makes an excellent cabbage substitute. Caution: Be sure you’ve made the right identification when nibbling this. It also resembles a poisonous plant. 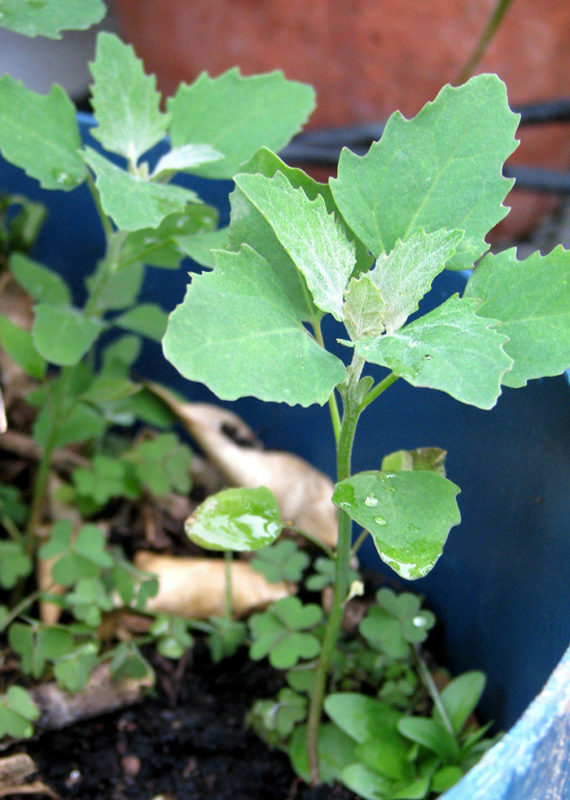 Lamb's quarters is an unappreciated plant. It helps restore poor soil in addition to being nutritious and, some even say, tasty. 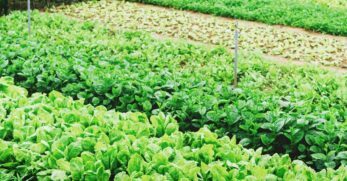 Tastes like: This plant has a salty flavor, and it's often used as a substitute for spinach leaves. How to identify: This is an unattractive weed, which is why it’s pulled up so often and ignored as a food source. Look for its dusty powder-coated leaves. Eating: The leaves of this plant are edible, and you can cook them or eat them raw. It's also tasty dried and added to soups. Caution: Don't get caught up in a case of mistaken identity. Make sure you’re picking lamb’s quarters and not a toxic doppelgänger. This edible weed grows close to the ground and spreads liberally. Bees love yarrow. Tastes like: The flavor is like a milder version of anise. How to identify: Keep an eye out for a kind of fern-like plant with clusters of tiny yellow or white flowers. Eating: Eat the leaves raw or cooked. Caution: Don't feed this to your pets. Additionally, be careful when ingesting it yourself, because some folks are allergic. This edible weed is a nutrient-packed plant that contains plenty of vitamins. 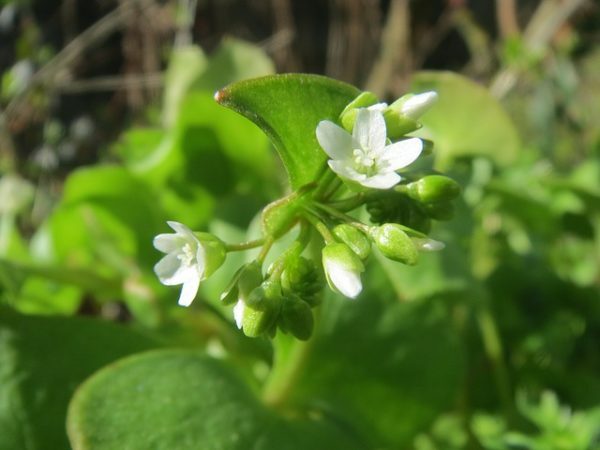 Its nickname, miner’s lettuce, comes from the fact that back in the day it was eaten by miners to stave off scurvy. Tastes like: It smells citrusy and tastes like earthy lettuce. How to identify: Look for a plant with round, almost heart-shaped leaves. The stem shoots straight through the center of the leaves, which makes it easy to spot. When blooming, the tops are dotted with small delicate flowers. Eating: Nibble on the leaves, stem, and blossom of this edible weed. Delicious in salads. Caution: Don't mistake this for purslane even though its other nickname is winter purslane because they don't taste anything alike. A plant in the mustard family, bittercress grows in a mat-like formation and commonly invades lawns. 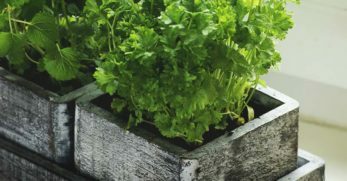 Tastes like: This plant has a pleasant flavor similar to fresh micro greens and don't let the name fool you. The leaves aren't bitter. 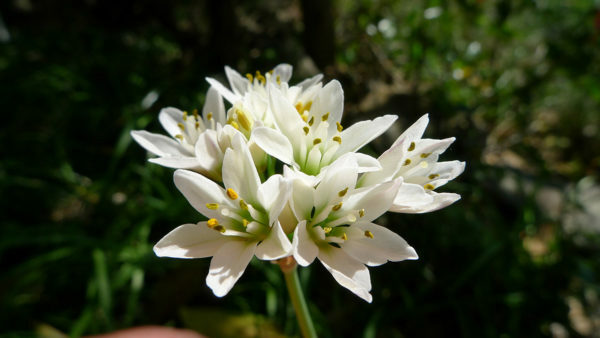 How to identify: Grows in a cluster or clump with shoots topped by white flowers. Eating: All above ground parts are edible, but the flowers can be bitter. Caution: You shouldn't store this edible weed for later. It’s best eaten fresh. 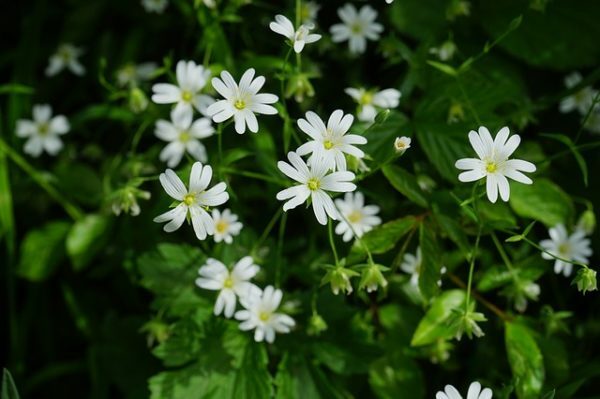 Unlike other types of weeds, chickweed is relatively innocuous. It’s not a towering monstrosity that clamors for space. Instead, chickweed grows close to the ground, spreading like a mat. Tastes like: If you've ever eaten grass, then you know what this tastes like. How to identify: Look for a fuzzy ground cover with small white flowers and oval-shaped leaves growing in opposites. Eating: Consume the leaves cooked or raw in salads or as you would eat spinach. Caution: Don't feed it to animals in large quantities. It’s mildly toxic, especially to horses. A perennial that pops up often in the wild, its leaves and roots are edible. Tastes like: This plant tastes like wood, with a spicy twist. 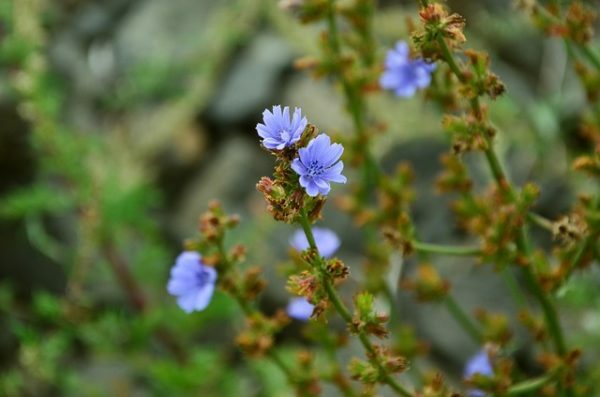 How to identify: This scraggly, stemmy weed has tiny blue flowers and likes to grow alone in barren areas. Eating: The leaves and roots are the best part of this plant. Caution: As pretty as it is, don't bother eating the flower, because it’s bitter. 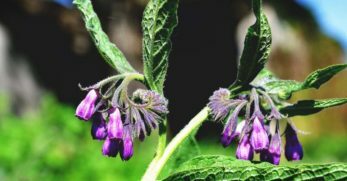 This perennial has a long history a medicinal treatment, but it also makes good eating. Tastes like: Depending on how you prepare it, this plant tastes like spinach. 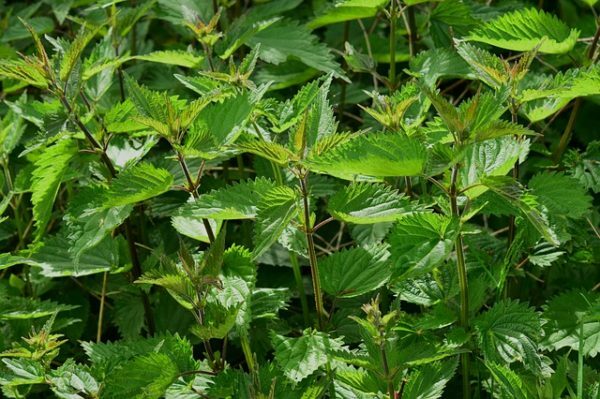 How to identify: Stinging nettle, true to its name, is covered in tiny stinging hairs so you might feel it before you see it. 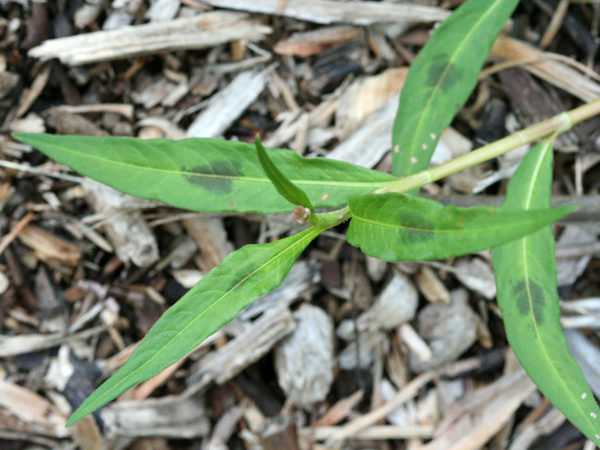 Look for arrow-shaped leaves with variegated edges and fuzzy white flowers. Eating: You can nibble on the leaves, roots, and stems of this plant, although young leaves are the most prized. Use it cooked in soups or as a side dish. Caution: Don't eat this without cooking it first to remove those nasty little hairs. You may also want to wear gloves when harvesting. I love sorrel. I planted it in my garden two years ago, and it’s a beautiful specimen. Wood sorrel bares little resemblance to garden sorrel, however. Tastes like: Sorrel tastes lemony thanks to the presence of oxalic acid, which lends a sour, acidic flavor. 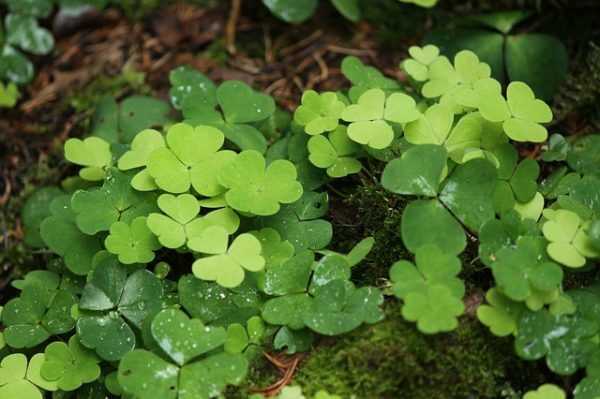 How to identify: This plant often gets mistaken for clover. It differs in that the smaller branches grow at a 90-degree angle to the central stalk. Eating: This edible weed is as refreshing as it is tasty. Eat the immature seed pods, leaves, and flowers in soups, salads or sauces. Caution: Don't eat too much of it in one sitting and keep away from all types of sorrel if you have arthritis or suffer from kidney stones. 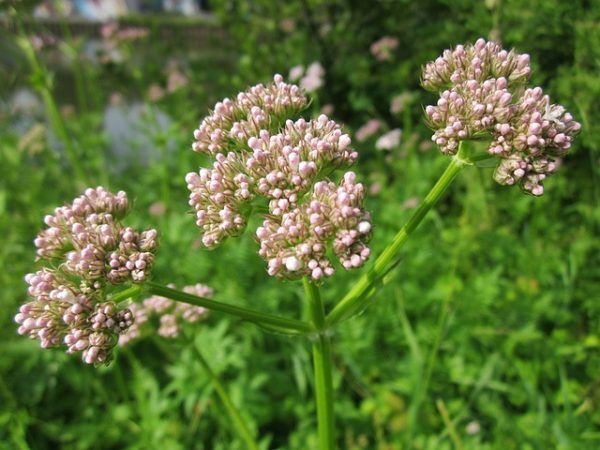 A well-known medicinal plant, valerian can also be eaten. Tastes like: Has a flavor reminiscent of earthy pine. 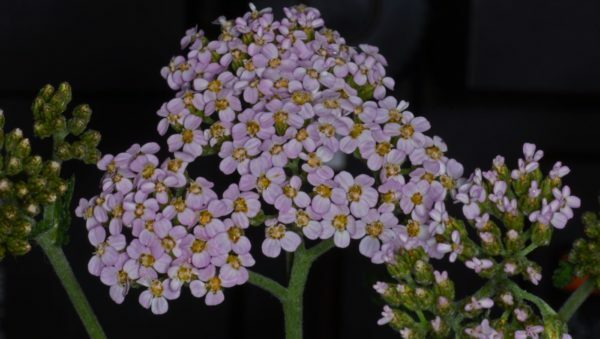 How to identify: Look for a straight, tall plant topped with small flower clusters. Eating: Only the leaves and seeds are edible raw, but you can use the root in tea. Caution: Don't dry it and use it later. It smells and tastes terrible when dried. Smells like onion, but spreads like a weed. Thankfully, you can munch on this invasive plant. Tastes like: As the name implies, it tastes like an onion. How to identify: Look for this edible weed growing in the shade. 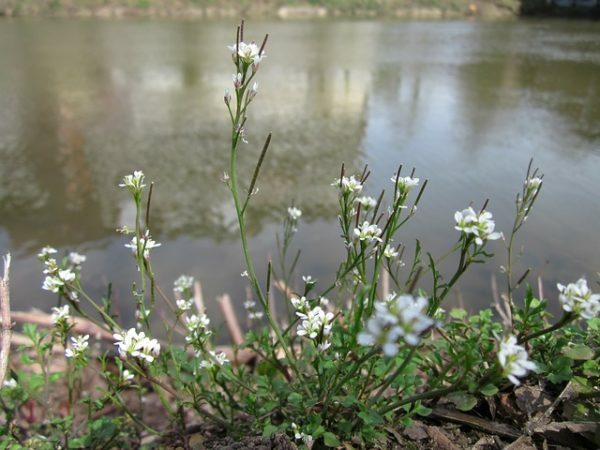 It's a delicate, thin-stemmed plant with drooping white flowers. Eating: The leaves are delicious raw, and the has a mild onion flavor. Caution: Don't yank it out of the ground. 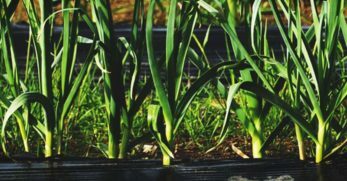 Carefully remove onion weed by digging it out to prevent it from spreading. 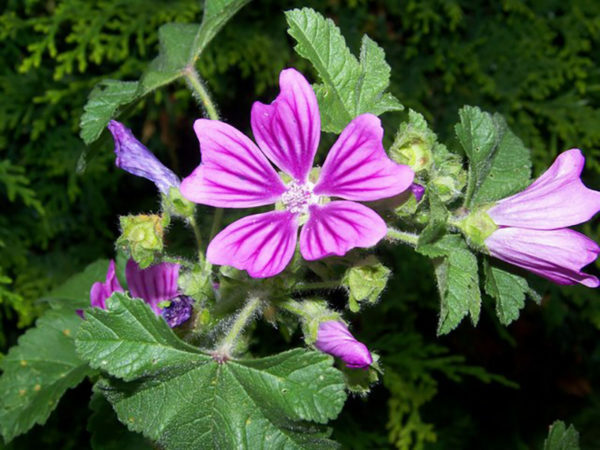 Once used as a medicinal treatment for several conditions including arthritis. Tastes like: The leaves taste like grass. Made into a tea, it resembles the flavor of black tea. How to identify: an odd brown stem at first until the weed turns green and branches out. Eating: Consume the shoots in the early spring. Once the cones turn brown, this plant turns bitter. Caution: Despite its name, don't let horses eat this weed. It’s poisonous to them. How could a weed ever have such a proper-sounding name? More often used as a medicinal plant rather than eaten, lady’s thumb is related to buckwheat. Tastes like: This plant has a lovely pepper flavor. 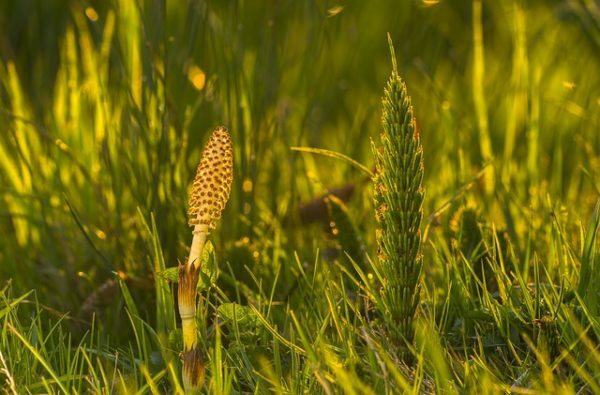 How to identify: You'll find this weed by looking for flower spikes that sit atop a stem with a base of long slender leaves that often feature a dark spot. 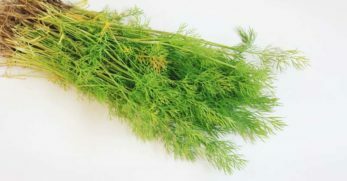 Eating: You can eat the leaves, shoots, flowers, and seeds of this plant. Caution: Don't eat this plant if you’re suffering from a kidney ailment. A horribly invasive species, kudzu was introduced to North America in the 1800s. 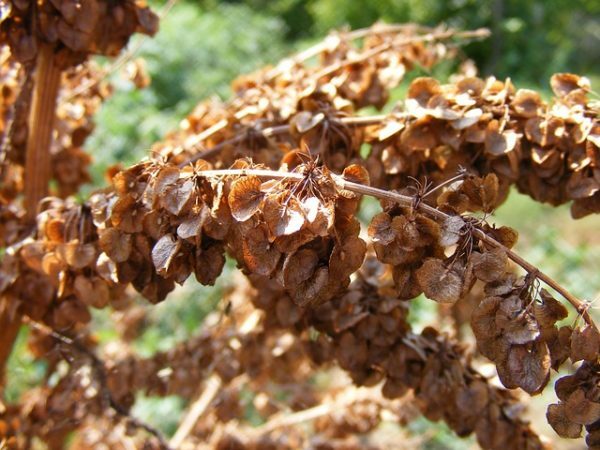 The fast-growing plant is so prolific that it is becoming a major problem in some areas. Thankfully, the one good thing about this rapid-growing invader is that you can eat it. Tastes like: For being such an invasive plant, it has a delicate flavor a bit like snow peas. How to identify: Look for a vine with leaves in a group of three and crimson flowers when blooming. Eating: Don't try to eat the vine of this plant, but you can eat the leaves, flowers, and roots. It's great chopped up in quiche and eggs. Caution: This is an easy edible weed to forage, but don't ever plant it on purpose. In some areas, planting kudzu is actually illegal. 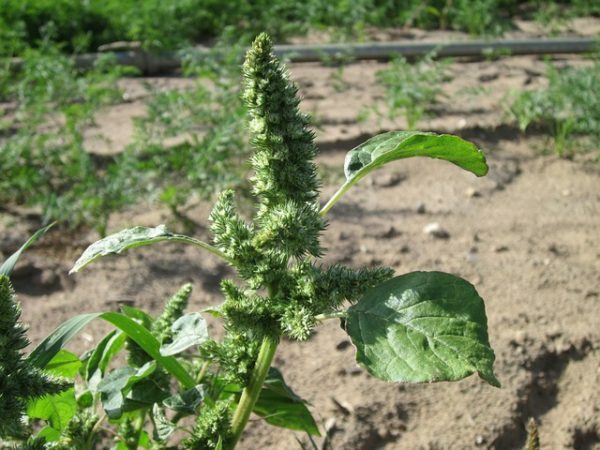 You’ve probably had an encounter with pigweed without even knowing its name. It’s also known as amaranth. In some places, lamb's quarters are called pigweed, but they're two distinct plants. Tastes like: This plant with a funny name has a mild lemon taste with salty notes. How to identify: Look for a tall stem topped with small, clustered flower spikes. Eating: Young leaves are best, but you can cook or dry the older leaves as well. Roast the seeds for a treat. Don’t: Don't be in a hurry to eliminate this plant, because pigweed can also help you with pest control. How could something that smells like pineapple ever be considered a nuisance? Tastes like: The name says it all. This plant tastes like a mild pineapple. 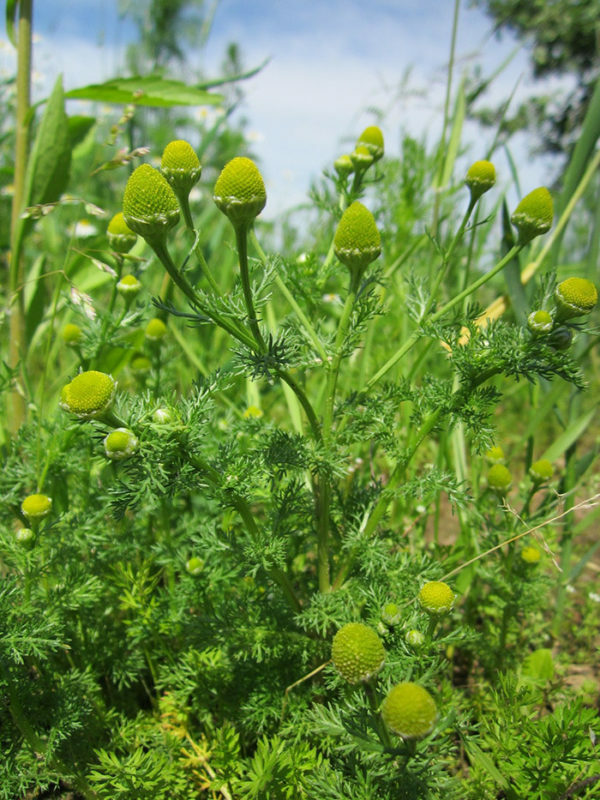 How to identify: Look for a bare-bones version of chamomile, because it is easy to mistake the two plants. If you crush the leaves between your fingers, you can be sure it's pineapple weed because of the scent. Eating: If you come across this in the wild, pick and eat the leaves and flowers on the spot. It also makes a wonderful tea. The older the plant gets during the growing season, the more bitter it becomes. Caution: Don't eat it in large quantities at first. Some people are allergic to this weed. A biennial with a bad reputation because of its sticky, grippy little burrs. 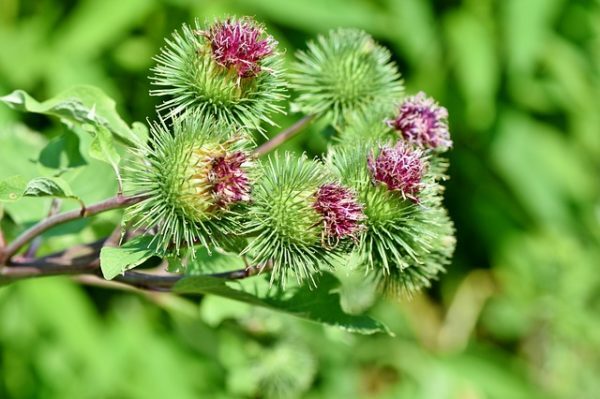 Surprisingly, burdock is packed with antioxidants. 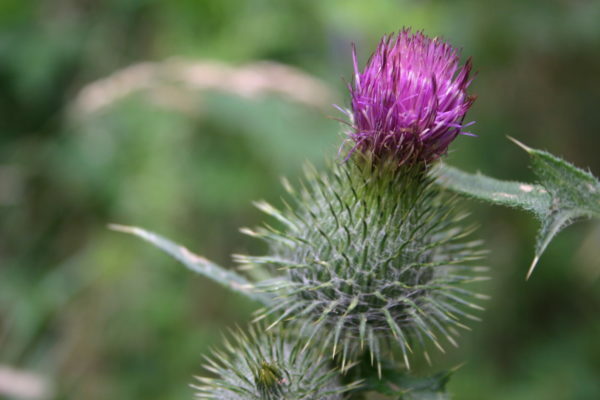 Tastes like: Burdock tastes like artichoke, though that depends on which part of the plant you’re eating. How to identify: This plant looks like something you should avoid, thanks to its annoying little burrs. How to eat: Peel and boil the stems. You can also eat the immature flowers or young leaves. Caution: Don't plant burdock on purpose. It’s a problematic plant in many regions. The burrs may harm animals or at the very least cause discomfort if stuck to their fur or skin. 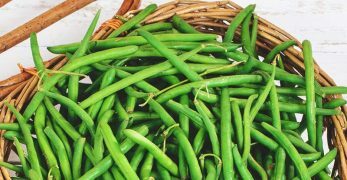 This low-growing plant is related to okra and hibiscus, and it's not only edible but has medicinal properties as well. 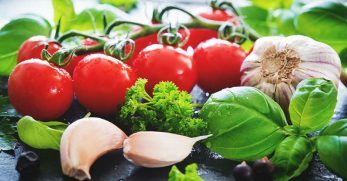 On top of that, it's handy to have around the kitchen because the leaves secrete a mucus when boiled that can be used as an egg white substitute or a thickener for liquids. Tastes like: The fruit tastes a bit like capers, and the leaves are mild. They will take on the flavor of the things you cook them with. How to identify: Look for a plant growing along the ground with long, geranium-like leaves sprouting from a central point. How to eat: Eat the leaves and flowers raw or cooked. All parts of the plant can be eaten. Caution: This plant is a prolific grower. 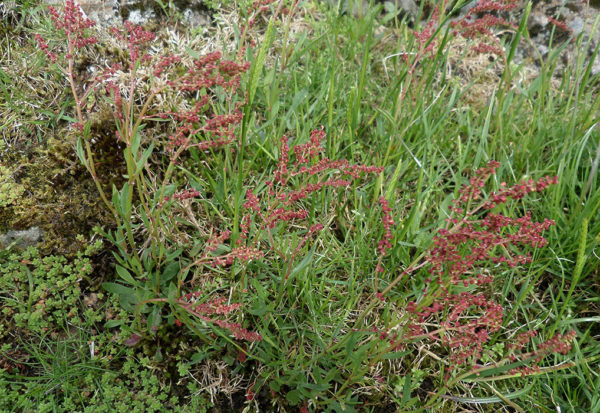 This edible weed is related to French sorrel and tastes much the same. Tastes like: Sheep sorrel has a tangy, citrus flavor with a slightly bitter edge. How to identify: This plant grows in a clump of arrow-shaped leaves with a red rosette in the springtime. How to eat: You can eat the leaves from this plant, which are delicious chopped in salads. The seeds are also good raw or cooked. Ground up dried leaves can be used to make a flour for baking or to thicken soups. Caution: Don't each too much raw sheep sorrel at a time. Violets are almost as hated as dandelions when it comes to lawn maintenance, but I think the native wildflower gets a bad rap. Though they can spread like, well, a weed, the pretty flowers are delicious, and the plant also has medicinal properties. Tastes like: This pretty little plant has a mild, sweet pea flavor. How to identify: When the plant is blooming, keep an eye out for the little purple flowers. 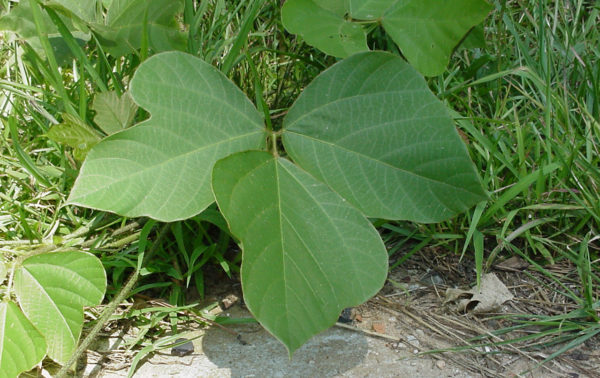 When it isn't blooming, you can spot it by the low-growing, heart-shaped leaves. How to eat: The flowers can be eaten raw and add a bit of color to a salad. You can also candy them or turn them into jelly. The leaves can be eaten raw. Caution: Since this plant is not loved by homeowners, be sure you are collecting specimens that haven't been poisoned. This weed isn't a prolific spreader, but it grows freely in barren soil. People have used the soft, furry leaves as toilet paper throughout history, which is why it is sometimes called Cowboy Toilet Paper. Tastes like: It has a slightly bitter, earthy, astringent flavor. How to identify: This plant is easy to spot. It is a fuzzy grayish mound of large leaves in its first year. 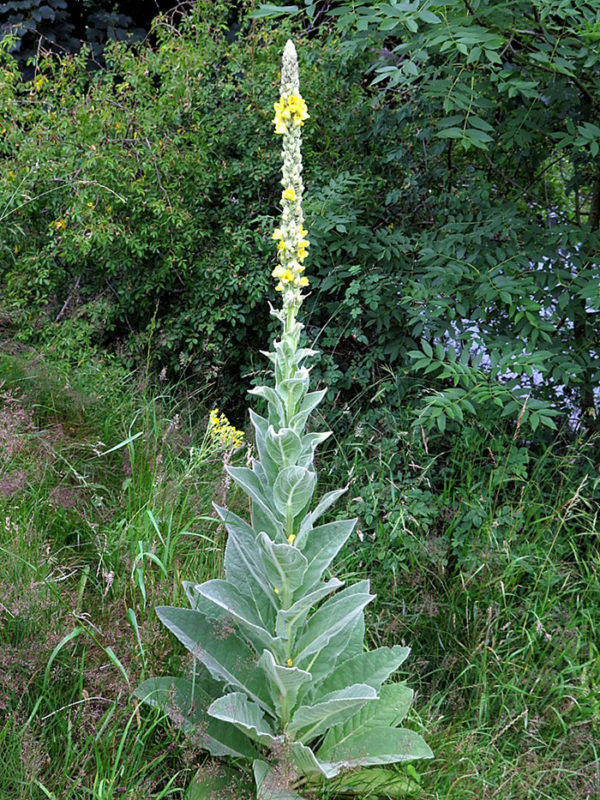 In the second year, it sends up a tall stalk covered in yellow flowers. How to eat: You can eat the leaves and flowers raw, but it is best turned into a tea. Caution: The hairs on this plant can irritate the skin for some people. This edible weed clearly doesn't want you to get near it. It's covered in little spikes from head-to-toe. The effort is worth the result, though. Tastes like: The raw leaves are bland, the stem and root taste like a Jerusalem artichoke. How to identify: Bull thistles look like any thistle except they have short daggers on the surface of the leaf. How to eat: You can eat the cooked root or stem as you would any veggie, either baked or boiled. You can also eat young leaves raw. Flowers can be roasted when they are young, and you can also roast the seeds. Caution: Wear gloves when harvesting. Make sure you remove all of the sharp bits before eating. Edible weeds are one of those hidden treasures that are everywhere once you know how to look. 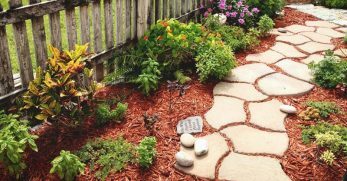 It may even make you look at weeding your own garden in a whole new light. 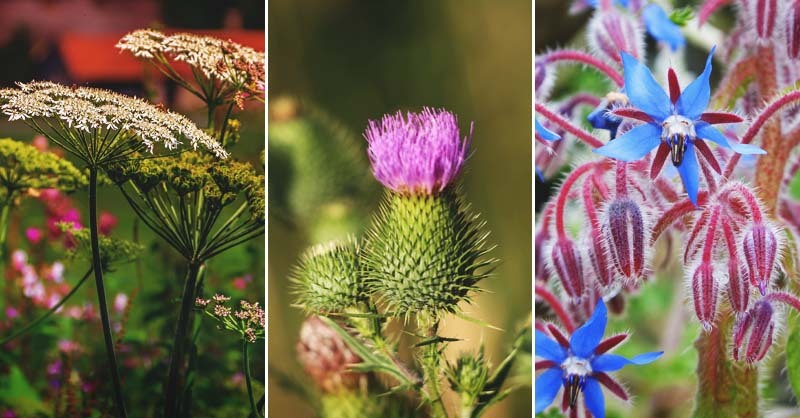 If you have a favorite plant that others consider a weed, be sure to let us know in the comments below.